Any novel can be read straight thru from beginning to end. But how many novels offer the choice of starting from either the front or the back? Or tell a reader two stories, from two drastically different perspectives which eventually merge into one? Open Letter Books calls The Canvas a “mind-bending investigation of memory, identity, truth, and delusion… the publishing event of the year, a novel whose meaning depends on the order in which it is read”. Jan Wechsler – who in an interview Benjamin Stein described as his alter-ego – is an Orthodox Jewish man who lives in an apartment with his wife and two children in Germany. One Shabbot (the Saturday sabbath) a suitcase from Israel shows up at his front door. He claims it’s not his, but many things about it show otherwise. The luggage tag is in his handwriting. Among the contents is a book, written by Jan Wechsler, attacking and exposing a man named Minsky who wrote a false Holocaust memoir. (Both Minsky and his memoir are based on a true story). The suitcase and the items inside destabilize Wechsler’s life. His memories, his marriage, his entire history – all come into question. And so he sets out on a journey to Israel, hoping to solve the mystery and piece together who he once was. Amnon Zichroni – the second protagonist – is a talented psychoanalyst who was born into a strict German, Orthodox Jewish community. In an incredible act of love his father, realizing his son will require more interaction with the secular world, sends him to Switzerland to be raised outside of the community. Amnon’s path is one of balancing spirituality with the material world. He has been given an extraordinary gift. A gift he can either accept or deny. But denial means turning his back on his beliefs. There are two main paths and intertwined side-trails running through this novel. Behind each cover is a possible starting point for the action. Where you begin reading is up to you, or to chance. You can follow the narrative on one side until you get to the middle of the book, then flip it over and continue reading from the beginning of the other side. To follow one of the side-trails, turn the book over after each chapter, and continue reading where you left off before. Of course, you’re also free to find your own way. I chose to follow a side-trail which required regularly flipping the book over. I alternated between the Amnon Zichroni & Jan Wechsler chapters. My experience was (though it’s not an adjective I usually use to describe a novel) surprisingly rewarding. So much so that it’s difficult to imagine the novel taking any form (or path) other than the one I chose. At the same time, I realize the narrative can be experienced differently. For example: by someone choosing to remain with Zichroni for the entirety of his narrative and then move on to Wechsler. (This is exactly what Trevor from Mookse and the Gripes did. We’ve been discussing The Canvas on his forums for anyone who wants to join in). On the meandering path I chose each chapter ended on a cliff-hanger. It was a bit like reading a serial. Flipping the book over became more and more difficult. I wanted to continue reading (regardless of which side I was currently on). Most of the book is spent trying to figure out what is going on. Stein expertly teases out his story so that when the denouement arrives it is both abrupt and conclusive. And, like a camera lens locking into focus, all the seemingly disparate elements come together to form a wonderfully complete and cohesive picture. Both narrators intrigued me. Though I trusted Wechsler less, neither protagonist’s story ever became the “true story”. As there is no correct way to read this novel – there is not one correct version of events. The essentials remain the same, the characters interpretations do not. And perception really is everything. Zichroni is only a peripheral figure for most of Wechsler’s narrative – and vice versa. Because their “relationship” is once removed for most of their lives and narratives, both men are essential to understanding The Canvas. 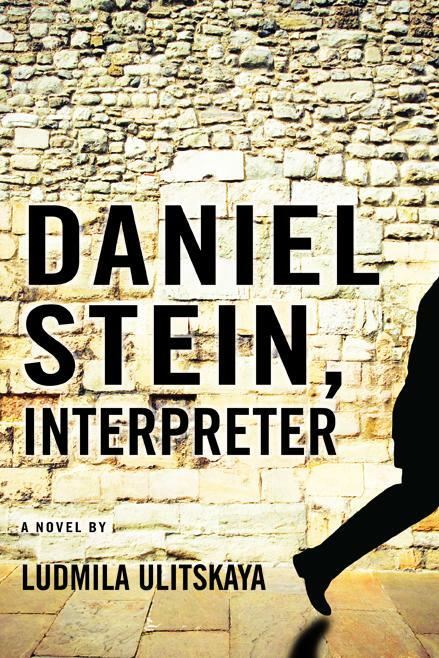 The unusual format Benjamin Stein chose for his novel is not a gimmick. Separating his two protagonists in every way possible was necessary to achieving his goals for the book. The Canvas has a fair amount of symbolism and philosophy – as well as beautiful descriptions of Jewish tradition and teachings – layered into the story. While there is a mystery involved, it is also a novel about ideas. And, to some extent about religion. (In this way The Canvas reminded me of Daniel Stein, Interpreter). On the Zichroni side there is one particular passage – a gorgeous description of tzitzes. Tzitzes are the carefully knotted fringes at the four corners of a prayer shawl. How they are knotted – the number of knots and coils of the thread used – is symbolic. I’m not Jewish, or particularly religious, but I found the subject beautiful and fascinating. The detail which Stein includes regarding Jewish life reminded me more than once of Melville’s descriptions of whaling. Precise without ever becoming pedantic. When I was a boy, my father had told me about the deeper meaning of the tzitzes, of the type and number of coils and knots. They are all symbols for words, and they connect those words inextricably with their meanings. There are different views on the exact number and sequence of the coils, which provide a coded answer about why people keep the laws. The Sephardim tie ten, five, six, five coils – in that sequence. The numbers correspond to the four letters in the name of Hashem. The Ashkenazim, on the other hand, coil the thread only seven, then eight, eleven, and thirteen times. The first two segments stand for the first pair of letters in the holy name, the third segment for the second pair. The fourth segment, finally, has the same numerical value as echod – one – such that the combination of coils stands for Hashem echod – the Lord is one. I am sure that there are even more variations of knots and coils, but clandestine ones, worn secretly by those who truly know. But people like that wouldn’t have their tzitzes tied by someone else, not even by my father. Regarding the translation: Brian Zumhagen manages to capture each narrator’s distinctive voice, portraying the men as I believe the author envisioned them. Zichroni is the more thoughtful, introspective, the cadence of the writing in his specific section reads slower. Wechsler’s voice, in contrast, is brash and hasty. Even a little slick (though that might be just my interpretation). I had no problem shifting back and forth – it is impossible to confuse the two. This, I imagine, was his main challenge. The other area would be the pacing of the prose, which is perfect. There was a real danger of Zichroni’s portion to become too wordy – too get lost in stream-of-conscious style (the character is a psychoanalyst) that leaps from topic to topic without getting to the point. It’s a fine line, and Zumhagen walks it like a seasoned circus performer. 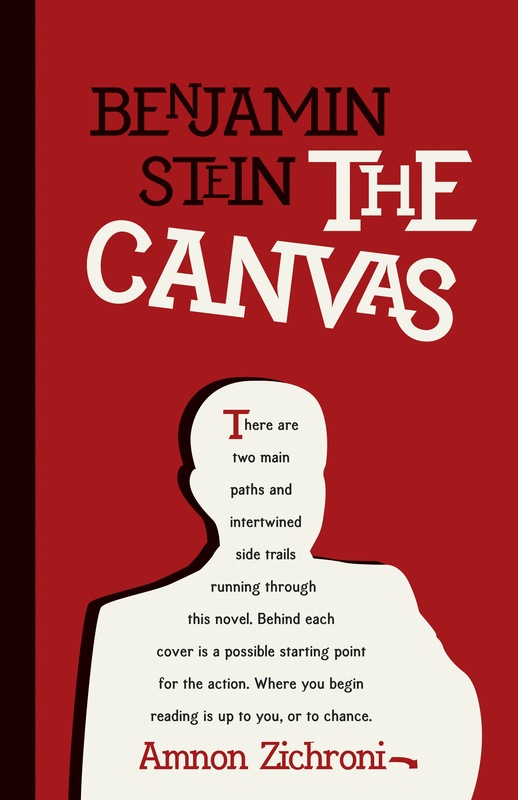 As I mentioned earlier, Trevor from the blog Mookse and the Gripes is also reading The Canvas. I’m looking forward to his review and will add the link when it’s posted. The Canvas is scheduled to be released on September 26, but can be pre-ordered. Do you ever find yourself unintentionally reading in blocks? Somehow, without any planning on your part, all the books you pick up seem to have something in common? Over the Summer I couldn’t get away from Argentinian authors (not that I really wanted to). Now it seems I’m on a bit of a Jewish literature jag. Wherever You Go is an engrossing novel, and a much more comfortable read than The Prague Cemetery. The writing style is contemporary. The storytelling is solid. And the prose moves along so gently that you’ll forget you’re even reading a book. Hours flew by without my noticing. 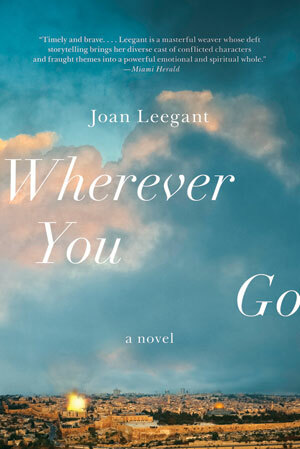 Wherever You Go follows the emotional journeys of three protagonists. (More about them in a moment). Their journeys, all quests for redemption in one form or another, take them to Israel. And Joan Leegant’s descriptions of that place had me longing to catch the next flight to Tel Aviv! Through her characters we’re able experience different facets of this amazing and troubled country – West Bank settlements; the Jewish radicalism/extremism at the fringe of Israeli society; the complicated relationship between Jewish Americans & Israelis; the religious and the secular citizens of Jerusalem, desirous of peace. It’s an engrossing portrait of a country as described by the people who live & visit there. And when I had the opportunity to ask Joan Leegant a few questions: Israel was at the top of my list. tolmsted: All three main characters find a home & solace in Israel, regardless of their level of commitment to religion and not always with good results. For example – Mark Greenglass, who spends the majority of the novel in NYC and who I felt was the most centered of your characters, doesn’t fully come into himself until he’s back in Jerusalem. Which brings me to the title of your novel, Wherever You Go. It’s a famous quote from the Old Testament. Ruth’s request to her mother-in-law, Naomi, “Don’t urge me to leave you or to turn back from you. Where you go I will go, and where you stay I will stay. Your people will be my people and your God my God” . It made me wonder if Israel is to the characters, in a sense, what Naomi was to Ruth? Can you talk about the role of Israel in the book and in your character’s lives? Part of me wants to ask what Israel represents (maybe I am asking that), but the idea and actuality of the country of Israel is so loaded with meaning and expectations it’s hard to imagine it representing anything other than itself. does this by aligning himself with violent radical settlers, to tragic ends. political and geographic and historic currents that continually run through it. as the visiting writer at an Israeli university. tolmsted: You mention that you’re “not the first writer to mine the volatility and emotional power of Jerusalem and Israel”. I think the term mining can have a negative connotation (specifically, how Aaron’s father mines the holocaust for his novels). I only mention this because I was struck by how even-handed you were in telling Mark, Yona and Aaron’s stories. You were very respectful… I’d go so far as to say that you are extremely kind to your characters – even those who are more difficult for the readers to sympathize with (like Aaron & Yona’s sister, Dena). Were you conscious of this? Or is it just the way the story played out as you were writing it? for them. This comes about as I begin to see them more fully, more completely. interested in what might have made them that way. tolmsted: Thank you so much for taking the time to answer my questions (and on short notice too!) Can you offer some recommendations for readers who want to continue exploring the topics you’ve introduce in Wherever You Go? Are there authors who’ve inspired you? or who you would recommend for readers wanting to read/learn more about Israel? a mother whose son has just gone into the Israeli army (compulsory for all). situation is also outstanding, especially the book Yellow Wind.